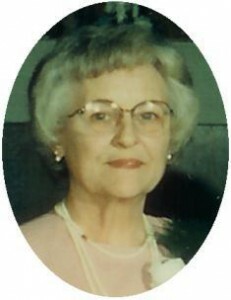 Amanda E. Puch, 84, of County Trunk KK in the Town of Port Washington died March 3, 2006 at Wisconsin Veterans Home in King, Wisconsin. She was born September 26, 1921 in Edensburg, Pennsylvania to Abraham and Della Morgan Maceil. She was a Private First Class in the Women’s Army Corp of the US Army during World War Two. On May 12, 1945 she married Anton “Tony” Puch of Millston, Wisconsin in Jackson, Mississippi. They moved to Port Washington after their married for Tony’s job at the Electric Compnay. Amanda was a seamstress and enjoyed sewing. she also liked to camp and fish and played the organ. She was a lifetime member of the Belgium Memorial Post 5373 VFW Women’s Auxillary and a past president. She was a devoted grandma and loved her family. Amanda is survived by her husband Tony of the Town of Port Washington, and sons Kevin (Debra) Puch of Key Largo, Florida and Jerry (Donna) Puch of Gibbsville, Wisconsin. She was a proud grandmother of 5 grandchildren and dear sister to Charles Maceil and Virginia Badali both of Pittsburgh, Pennsylvania. Further survived by other relatives and friends. Preceded in death by two infant children, Daniel and Beverly, son Steven Puch, one brother and two sisters. Funeral services will be held at 6 pm Tuesday, March 7, 2006 at the Poole Funeral Home by Belgium Memorial Post 5373 VFW and Auxillary. Interment Union Cemetery, Port Washington. Visitation 4 – 6 pm Tuesday. Memorials Appreciated.